You only need a minute to live a real life. 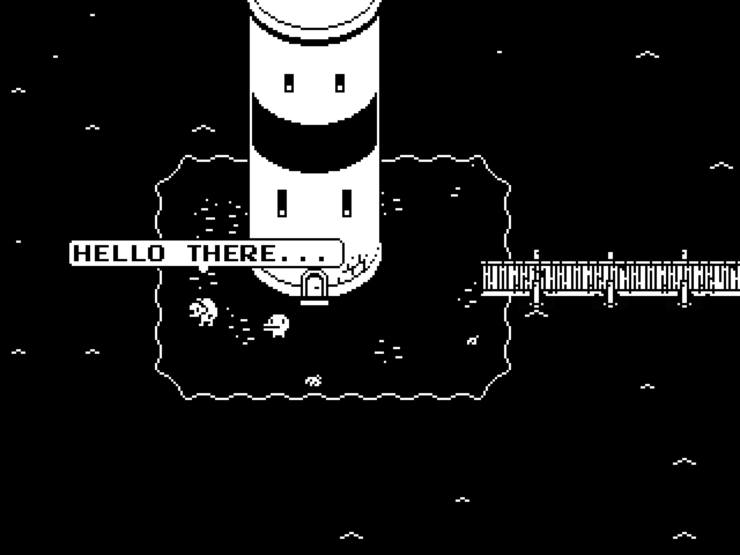 Devolver Digital announced today their new game called Minit which is a lo-fi adventure game can be played only one minute at a time. There’s isn’t much information outside of what we see in the trailer. But it seems like you have one minute to play until your character dies. You take all the information you gather from the previous minute to a little further each minute. There’s a lot of trial and error but it seems like figuring what’s important and what is a waste of time is part of the charm of this weird little adventure game. The game is being developed by indie developers Kitty Calis, Jan Willem Nijman, Jukio Kallio and Dominik Johann. The press release gave a brief description of the game with a character that has the lifespan of a mayfly. The Devolver Digital Monetization Department are working on in-app purchases for Minit that will allow players to pay a dollar or watch an hour of advertisements to extend each life one more second, Stay tuned for this and other great ways to frivolously spend more money you probably don’t have in Devolver Digital games you might never actually play. Minit is set to arrive on PC (and perhaps consoles) later this year. Minit will also be playable at PAX South in San Antonio, Texas this weekend.